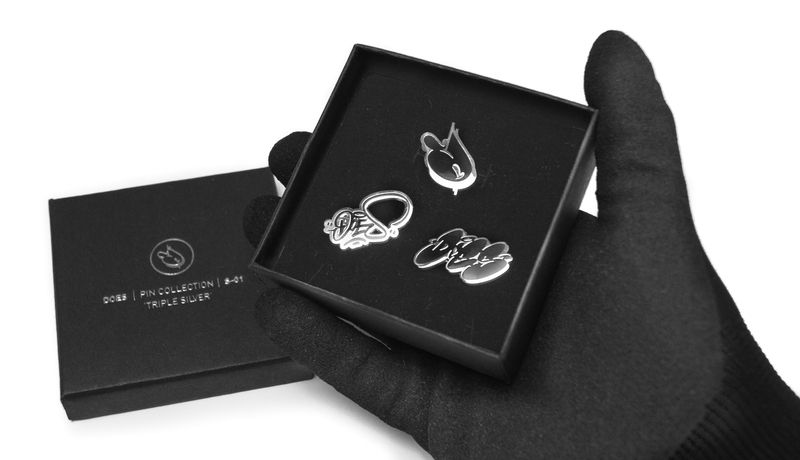 Deluxe pin collection with 3 high quality hard enamel silver colored pins. 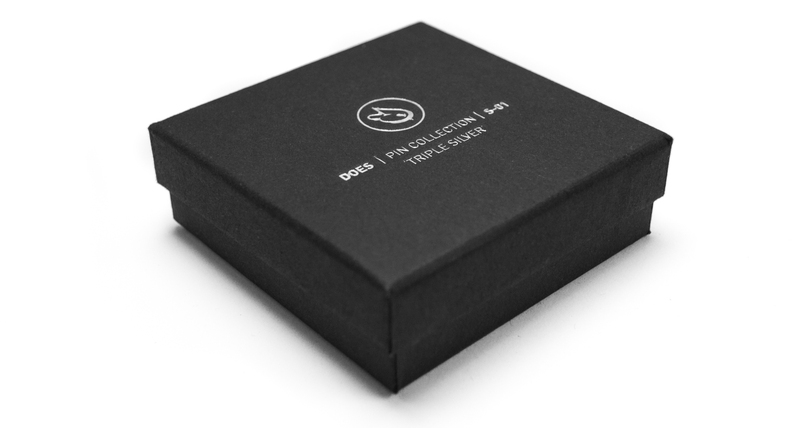 Each box is signed and numbered by ‘DOES’. 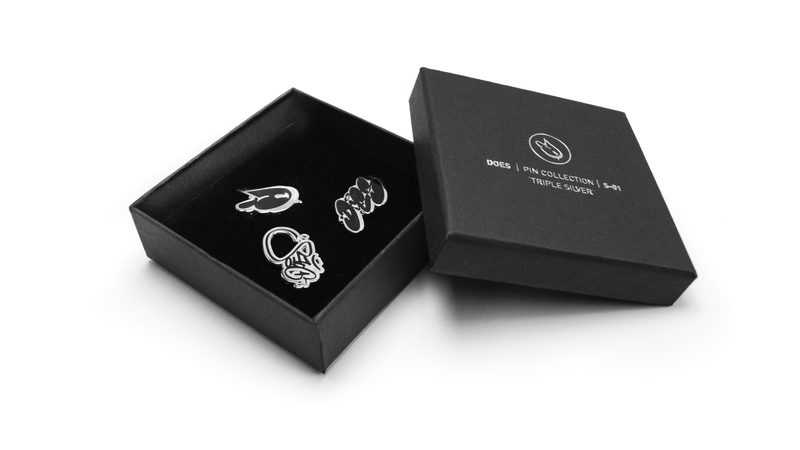 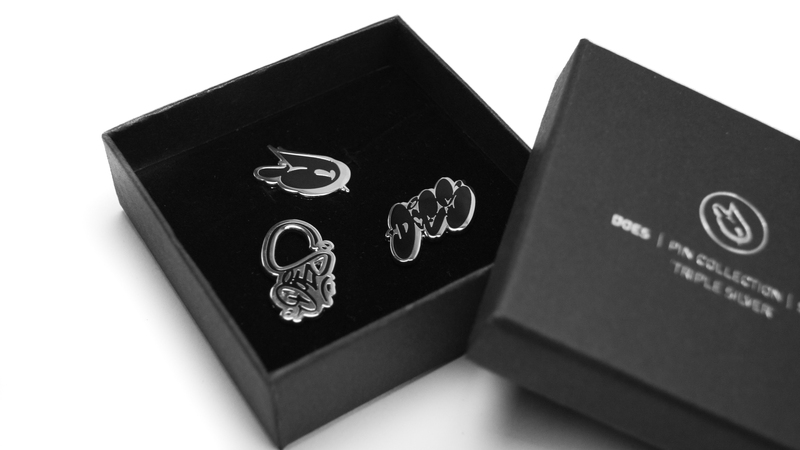 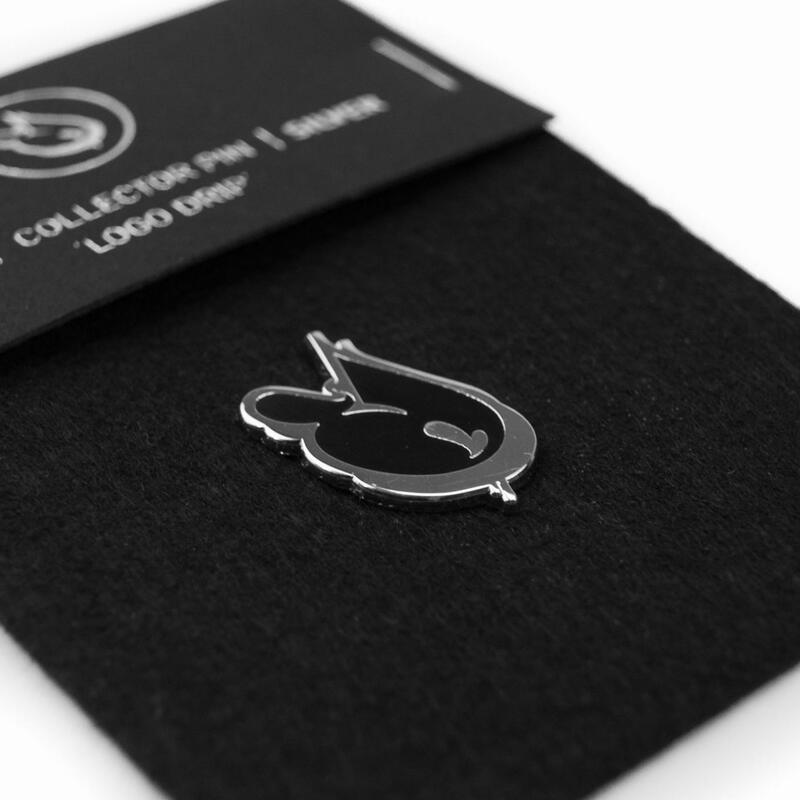 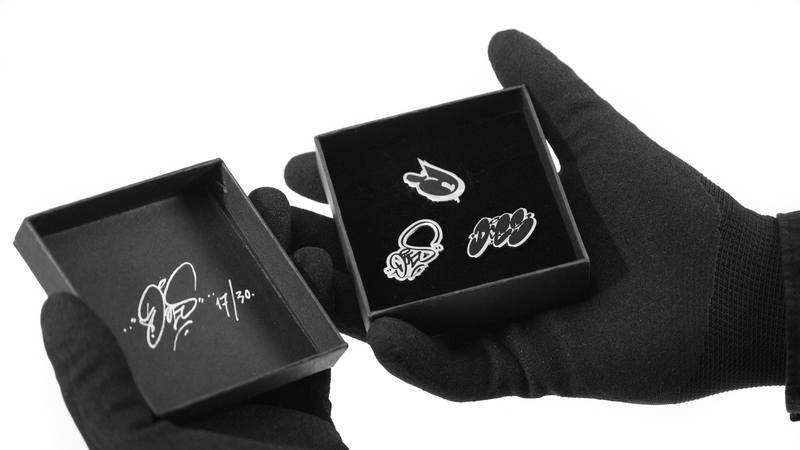 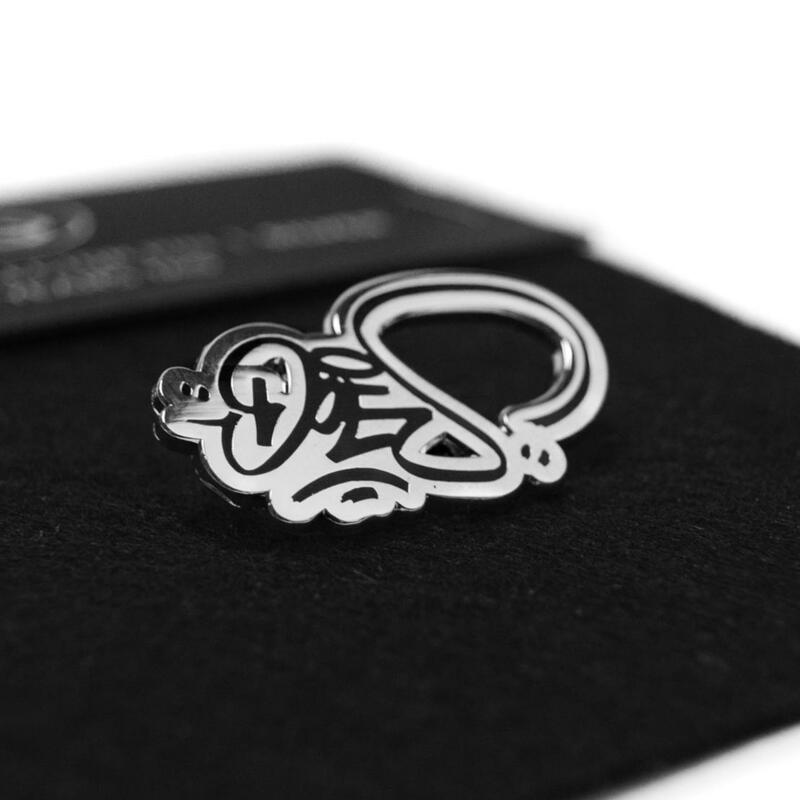 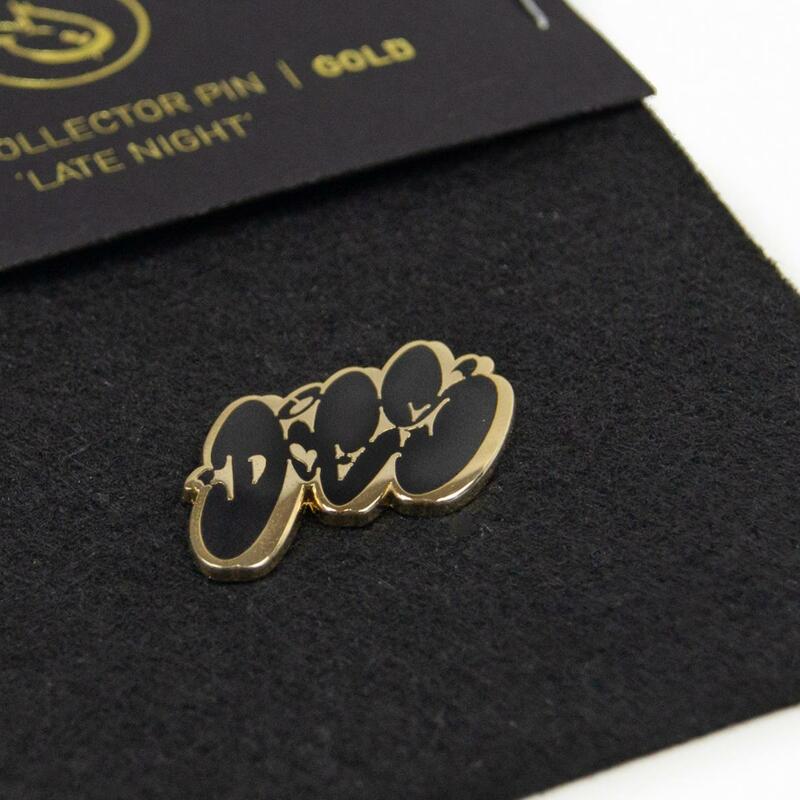 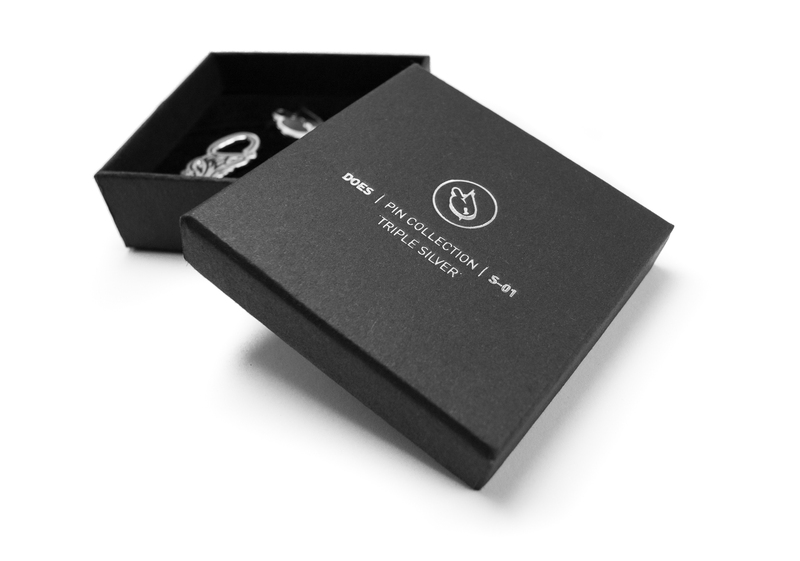 Pins inside the box: ‘Logo Drip’, ’20 Years Tag’ and ‘Late Night’. 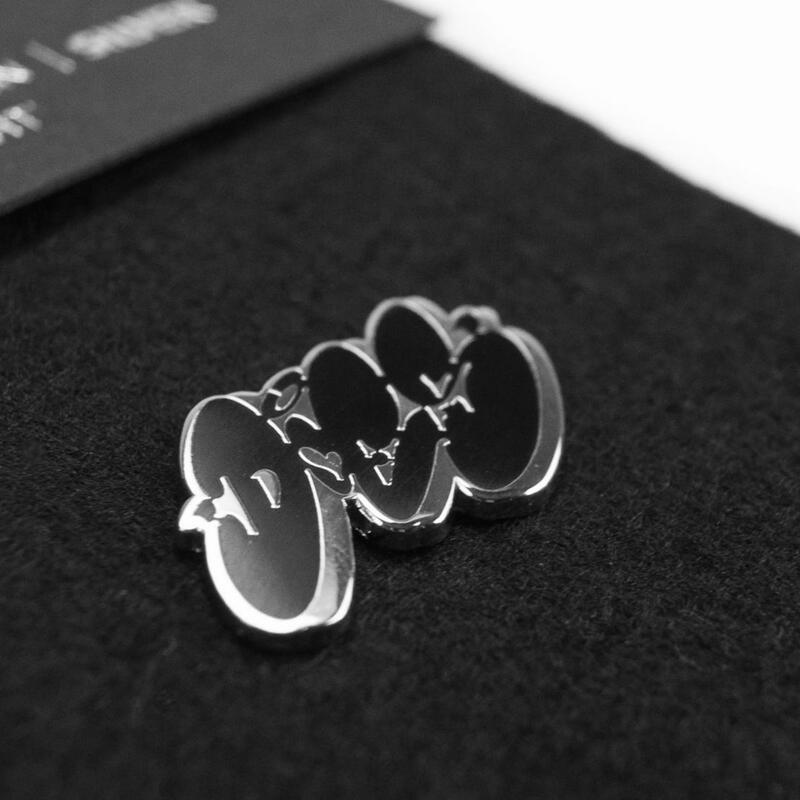 These pins are also sold separately.